(i'm honest) so which ones do you think I like? Which ones do you like? 41 comments on "Nice Bootie!" I have been looking for a pair like those second one for AGES. I don't know how I feel about them for the office, they might be "weekend" shoes. The Aldos are so cute! Love the last pair, nice! OMGawd, I can't pick just one!! Jonesy I think you would like #3, 5, and 6. My personal favorite is #3 and I'm diggin #6 too, but don't think I would buy them. but they dont have my size (and they're kind of expensive for my budget). I like the gold, but I'm betting that that's one pair that not many people would really wear. I mean where do u need to wear gold bowed pumps? Pretty though! I love would wear all the bottom ones! I am definitely loving the Dolce Vita boots! I think I might need them! BTW I am doing a giveaway! A Sephora all in one palette and Smashbox primer! top right top right top right!!! the first one on the bottom rocks! Thank you for the lovely comment on my blog, you'll be pleased to know I've joined your followers. I love the last pair. They are so rock and roll and glamorous at the same time!! AAA THAT PAIR BY DOLCE VITA!!! the 1st and 3rd pairs are GORGEOUS! but i cant see you a my follower! i love your blog too, i follow you! Excited for fall and SHOES and BOOTS and of course, SHOEBOOTS! Your blog is great! It is very fun, fresh, and fashionable. I definitely look forward to seeing more! 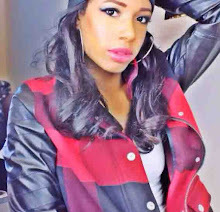 Love ur blog girl...its the ish! I figured that brown bootie would cost more than I want to pay for them. Im going to cross my fingers that Target has a cheaper version sometime soon. I love the Aldo bootie, wish I had a pair of my own! Thanx for checking out my blog, by the way.